2020 Toyota Corolla LECorolla LE, 4D Sedan, 1.8L I4 DOHC 16V, CVT, FWD, Classic Silver Metallic, Black w/Premium Fabric Seat Trim. Price includes: $750 - TFS Non-Subvened APR Cash - LA. Exp. 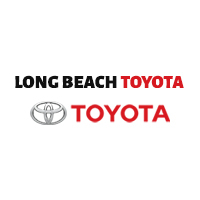 04/30/2019 2020 Toyota Corolla Hybrid LECorolla Hybrid LE, 4D Sedan, 1.8L I4 DOHC 16V, CVT, FWD, Celestite Gray Metallic, Light Gray w/Premium Fabric Seat Trim. 2020 Toyota Corolla XSECorolla XSE, 4D Sedan, 2.0L I4 DOHC 16V, CVT, FWD, Celestite Gray Metallic, Black w/SofTex Leather Seat Trim. 2020 Toyota Corolla XSECorolla XSE, 4D Sedan, 2.0L I4 DOHC 16V, CVT, FWD, Classic Silver Metallic, Black w/SofTex Leather Seat Trim. *Closed end lease financing available through 4/30/19 on approved credit to highly qualified customers. Offer applicable to vehicles with a model number of 1864 only. See example stock number 11364 with corresponding VIN number (last 8 digits) of KC166954 as reference for cars that qualify for this offer. 3 cars total available at this price. Includes $1265 dealer discount and $1000 lease cash. Monthly lease payment based on MSRP of $22018 and destination charges less a suggested dealer contribution resulting in an adjusted capitalized cost of $16640. Net price after discounts is $19753. No security deposit required. Excludes tax, title, license, options, and dealer fees. Amount due at signing includes first month’s payment, capitalized cost reduction, and acquisition fee. Your payment will vary based on final negotiated price. At lease end, lessee responsible for disposition fee and 15 cents/mile over 12,000 miles and excessive wear and use. See your dealer for details.